My work with Muir Copper Canyon Farms here in Utah began about a month ago. I wanted some imagery for my site, for myself, and for a few contests to which I'd be submitting some work. 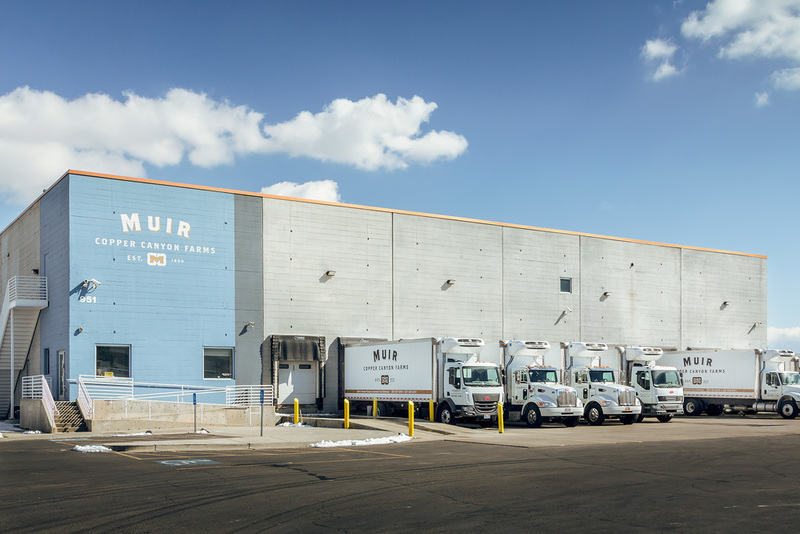 I decided I wanted to learn more about produce distribution, so I found information for a few companies, and Muir seemed like the best company to try and contact. But no one answered so I left a message. A couple days later, I saw I had an incoming call that my phone identified as Muir Copper Canyon Farms. My heart started to beat hard as I answered and was greeted by the CEO of the company, Phil Muir. He talked with me directly and wanted to know more about my project; so we discussed it, and he invited me out to check out the warehouse and see how the process works there. A week or so later, I drove down to their facility in Salt Lake, and spent an hour or so with the fabulous Patricia Fava getting a tour and basic explanation of all they do there. It was absolutely delightful, as I'm fascinated by warehouse processes and especially if it has to do with food. A few days after the tour and a few emails later, we decided on a couple of dates for the shoots to take place. I decided it would be best to shoot with the staging crew and some of the delivery trucks leaving in one go, which would entail a most-of-the-night shoot...which are my favorite ones! Then, on another day, I'd return to photograph some of the daytime operations. I'll leave it at that, for now. Check back soon for parts 2-4, or so. Lots of information, lots of images. tl;dr: I wanted to learn about produce distribution, contacted a company, met with said company and toured their facility, and then planned for an all-night and a partial day shoot. Now for some pictures! Just a couple here of the warehouse during the day. Notice the carefully placed band of copper that runs along the top edge of the building. I thought that was a neat architectural detail that really helps the building to stand out against that blue sky.